Scottish+Traditional: The High Road from the album, Corporate Identity. Uilleann Pipes accompany piano and percussion instruments to bring out an uplifting and inspiring track perfect for corporate presentations, among others. 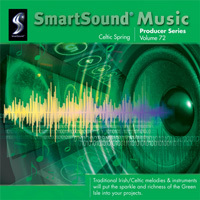 Alternatively, Calling My Name from the album Celtic Spring (PS72) will be ideal for travel scenes or documentaries, with its reflective and emotional use of flute and acoustic guitar. Scottish+Folk: Check out Autumn Leaves, also from the album Celtic Spring (PS72). This is a delicate, soothing score that makes excellent use of both flute and the hard-to-find Celtic harp instrumentation! This is a great choice for scenic panoramas. Scottish+Orchestral: Pipers At Dawn from the album Richard Band Vol 8 - Heroic Adventure is lively and drama-filled, a piece that makes great use of bagpipes, orchestra, and drums, an outstanding fit for action-drama scenes! Especially great for processionals. 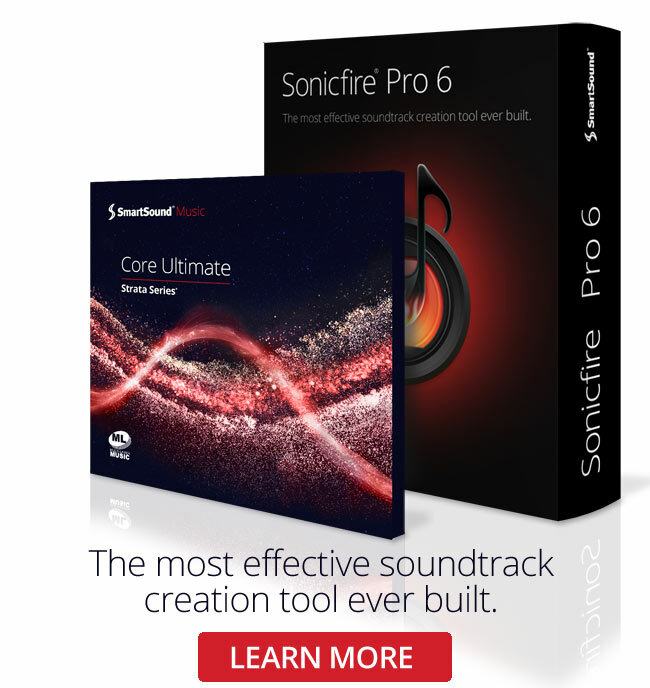 As you can see, with SmartSound’s award-winning technology, finding exactly the right sound for videos, games, indie movies, commercials and more is a simple matter of selecting the right filters. Most tracks include multiple variations and instrument mixes to let you customize the track even more - but don’t forget how easy it is to adjust the track’s length, so it perfectly fits any scene duration.